Share this product and receive a $4.46 sharing discount. 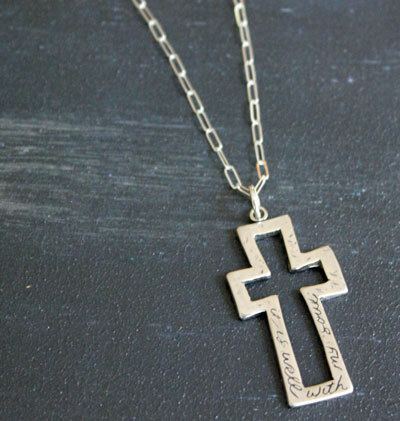 This splendid large open cross is lightly, hand inscribed with the endearing words "it is well with my soul." It arrives on an 18" long drawn cable. 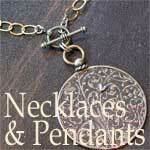 The pendant measures 1 1/2" long and 3/4" wide, and is about 1/8 of an inch thick.